TONIGHT at 7pm. 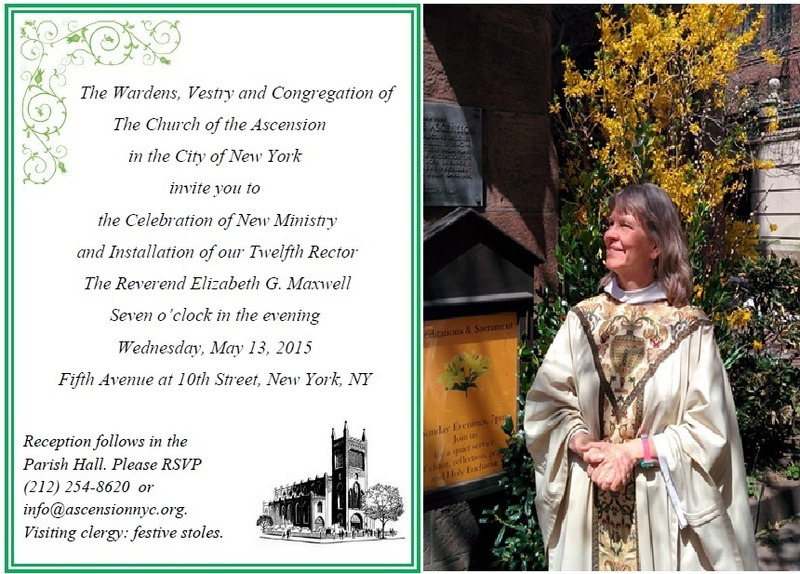 You are invited to attend the Celebration of New Ministry and Installation of the Twelfth Rector, The Reverend Elizabeth G. Maxwell at 7pm, Wednesday, May 13, 2015. Reception following in the Parish Hall. Visiting Clergy please vest in festive stoles. Enter the church on Fifth Avenue at 10th Street.